Chris Cornell was honored with a posthumous Grammy Award for Best Rock Performance at the 61st annual event in Los Angeles on February 10. “When Bad Does Good” – the lead single from the 2018 self-titled collection of the late Soundgarden singer’s work – took home the prize over tunes by fellow finalists Arctic Monkeys (“Four Out Of Five”), The Fever 33 (“Made An America”), Greta Van Fleet (“Highway Tune”) and Halestorm (“Uncomfortable”). Cornell’s children, Toni and Christopher, accepted the award during a pre-telecast ceremony on their father’s behalf, while the singer’s widow, Vicky, was also on hand. The 2019 honor marks Cornell’s fourth solo nomination and his first solo Grammy win; he previously earned two awards with Soundgarden in the mid-1990s. “When Bad Does Good” was produced, recorded, and mixed by Cornell and was found in his personal recordings archive after his passing; it wasn't until friend Josh Brolin reminded the singer’s widow, Vicky, of the unreleased song that she decided to share it with his fans. 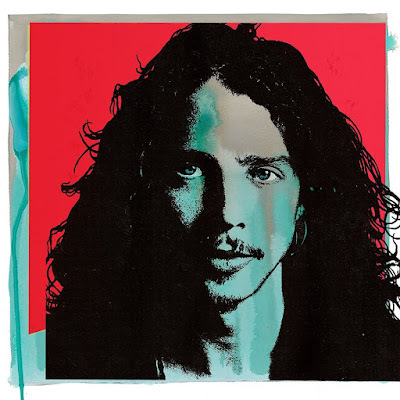 A video for the song sees Cornell’s son, Christopher, star as a paperboy – an occupation his father held in his youth – riding his bicycle around Seattle as images of lyrics from the Soundgarden frontman’s history appear around the city. The surviving members of Soundgarden reunited last month to headline the all-star "I Am The Highway: A Tribute To Chris Cornell" concert at The Forum in Los Angeles.